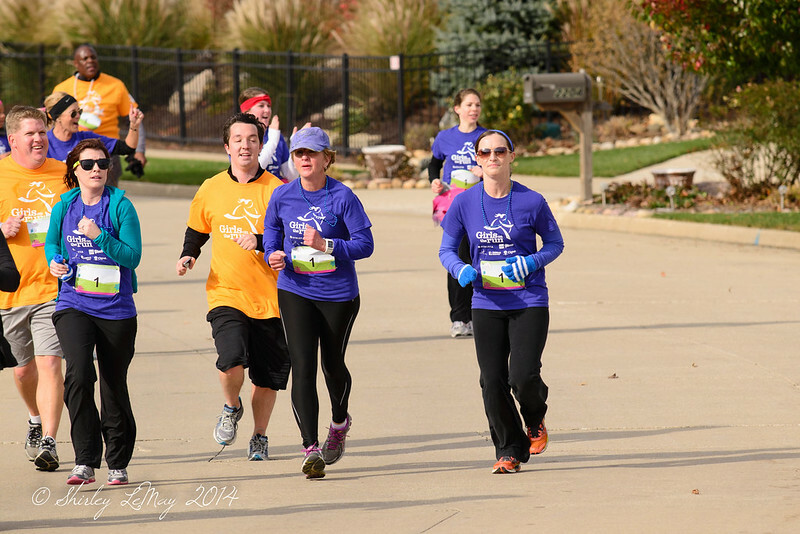 Our neighborhood hosted a unique community event yesterday - the Girls On the Run 5K run passed through our sub-division. For a change, I was a spectator instead of a race participant and it was great fun. OK, I wasn't just a spectator, I also played the part of "race photographer". 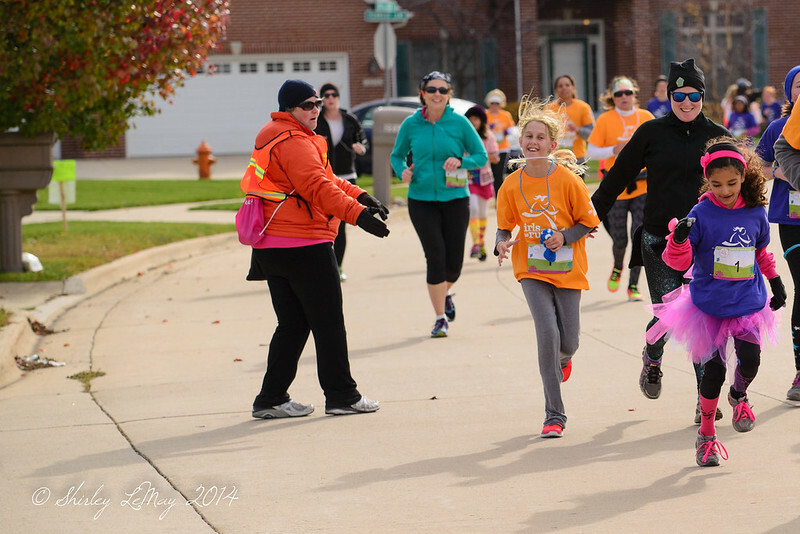 The local Girls on the Run Council has partnered with the YMCA and set up training sites at numerous elementary schools. The after school program meets twice a week with coaches, culminating in yesterday's 5K running event. 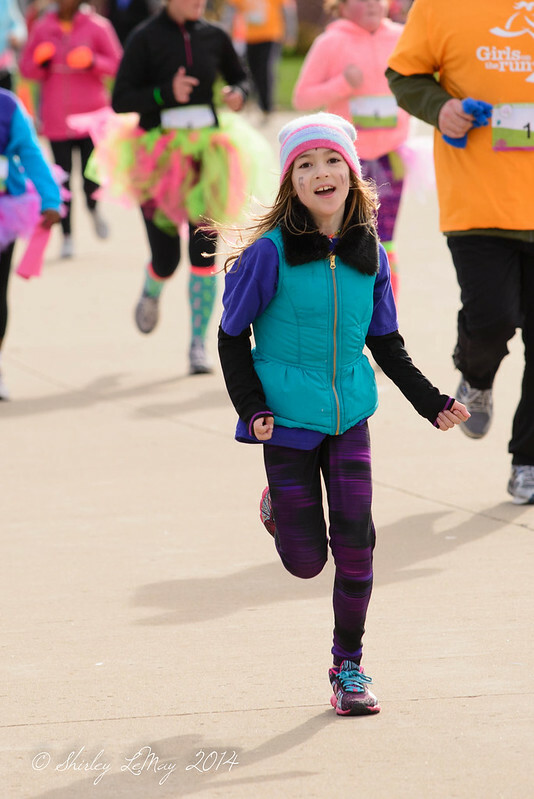 "The 20-lesson Girls on the Run curriculum combines training for a 5K (3.1 miles) running event with lessons that inspire girls to become independent thinkers, enhance their problem solving skills and make healthy decisions. All of this is accomplished through an active collaboration with girls and their parents, schools, volunteers, staff, and the community." How awesome is that? From personal experience, I attest that running has given me more confidence, strength, stamina and most importantly, joy. The process of setting a goal, taking steps forward through discipline and training, then seeing that goal through provides an immense sense of accomplishment. I got to see those happy smiles of accomplishment on the runners today - and not just girls, but boys, mothers, fathers and teachers. One of the runners was Ms J - a former 5th grade teacher to both my kids - and a friend. 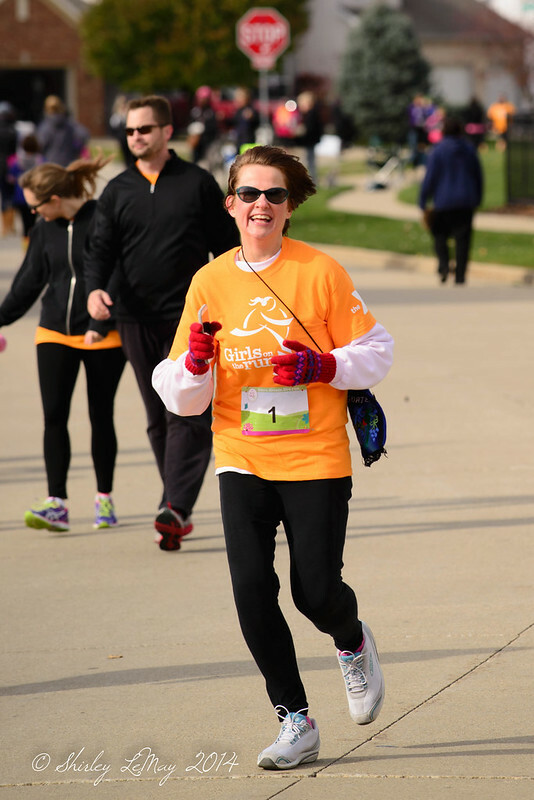 Ms J has transformed herself through weight loss and exercise and ran her first 5K today. I knew I had to cheer her on and give her a special high five as she passed by. It brightened my day to see and be a part of a great event from an organization with a positive mission. Good for these girls! A friend's daughters participate in this program in MD. Looks like a great day for a run! Love all the smiling faces in these pictures. Such a great program! I love it - I wish there were more events aimed at inspiring girls (of all ages and sizes) to get out, get involved and explore - widen their horizons and options.